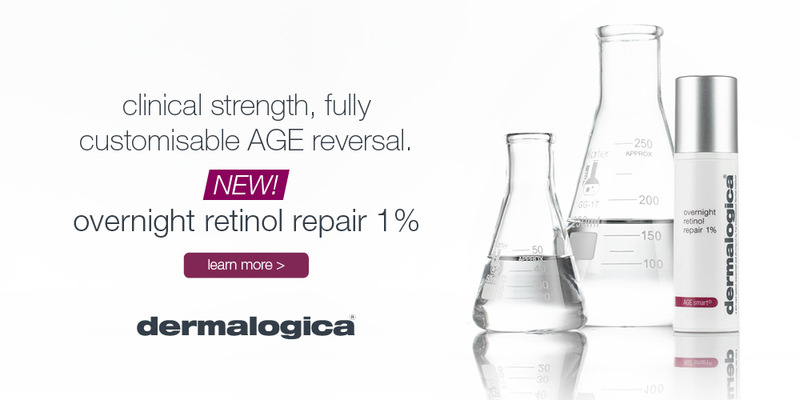 Dermalogica, are proud to to welcome to the Age Smart family, the new Overnight Retinol Repair 1%! Available exclusively at select Sorbet Salons Nationwide, this active 1% microencapsulated pure Retinol formula helps accelerate skin renewal. A powerful bioactive peptide and antioxidant Vitamin C help reduce the appearance of wrinkles, uneven skin tone and discolouration. Squalane from Brazilian Sugar Cane restores skin moisture and suppleness while active polysaccharides hydrate and prevent water loss to help soften fine lines. Soothing Licorice Extract and customisable Buffer Cream reduce the risk of flaking or irritation as skin acclimates to Retinol. Formulated without artificial fragrances or colours.